Wooing international flyers ahead of the festive season, private carrier Jet Airways on Monday slashed its business and economy class fares by up to 30 per cent across its global destinations including those in the US and Europe for a limited period. Bookings under the six-day festive sale offer commenced today for travel from October 5 and onwards, Jet Airways said in a release. "Jet Airways' guests can now avail of this very attractive global fares to plan their international travel," Jet Airways senior vice president for commercial Gaurang Shetty said. 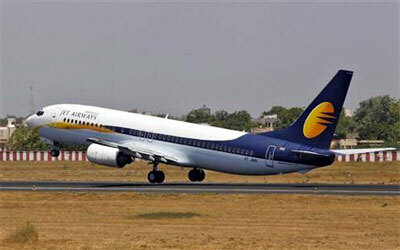 The special offer gives the customer a choice of over 140 international destinations on board Jet Airways' flights and its partner airlines, Shetty said. Besides, Etihad also has equity investment in other global airlines -- airberlin, Alitalia, Air Serbia and Air Seychelles. Jet Airways operates its flights to 73 global and domestic destinations.